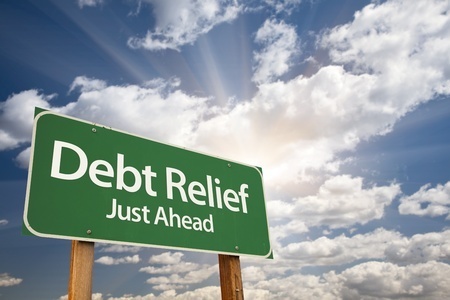 Chapter 7 of the Bankruptcy Code provides for “liquidation” or discharge of certain debts to give an honest individual debtor a “fresh start.” The individual debtor has no liability for discharged debts. Admitting the need for help regarding financial matters can be a difficult thing to do. Over the past several years the troubles of the automotive industry have affected thousands of families. At Kallabat Law, P.C., we understand. • Laid off or losing your job? • Crushing credit card interest rates? If you are facing financial hardship, it can feel debilitating. Now is the time for an experienced, affordable and friendly bankruptcy lawyer who can clearly explain your options? At the Bankruptcy Legal Center, we understand what you are going through and we are committed to making our clients feel comfortable when they come to our law firm for help. For a free consultation, please contact us today. Most people suffering from serious financial problems are facing the possibility of bankruptcy for the first time. They may have heard there are options, including Chapter 7 and Chapter 13 bankruptcy, but they don’t understand the differences or how to decide what to do. Are you living paycheck to paycheck? Do you think it will be impossible for you to ever get caught up with your debts? If your income is below the median annual income for Michigan ($68,000 for a family of four), Chapter 7 may be your best option. Sometimes referred to as “liquidation” or “consumer” bankruptcy, Chapter 7 typically takes three to six months to complete. The main advantage of Chapter 7 is that it enables people to “liquidate” or erase their debts..
Are creditors calling you at home and at work? Are they contacting your friends and family members? Put an end to your creditor harassment by speaking with one of our Michigan bankruptcy lawyers. Once you retain our office, you will be able to refer your creditors to us. The creditor harassment will stop immediately. Under some circumstances, this creditor harassment may be in violation of the Fair Debt Collection Practices Act (FDCPA) and you may have cause for further action. Are you currently experiencing garnishment of your wages? Have you been notified that garnishment may soon begin on your wages? A Chapter 7 bankruptcy is one of the most effective ways to stop garnishments. By contacting one of our Michigan bankruptcy lawyers, we can stop the garnishment so your income can be put to better use. If you own property, it may be taken and sold by the bankruptcy court to pay down your debts. Some people see losing their homes as a major disadvantage of Chapter 7. Reviewing your goals and assets is a big part of the process so that we can assist you in taking the right path for you. However, for those who can no longer afford their mortgages, this may be the best option available. With 3 locations to serve you, our attorneys offer representation to people in the metro Detroit area and throughout southeast Michigan. From offices in Farmington Hills , Michigan, our law firm represents clients in Detroit and neighboring southeast Michigan cities including Livonia, Dearborn, Plymouth, Southfield, Pontiac, Troy, Novi, Royal Oak, Mount Clemens, Warren, Sterling Heights, Auburn Hills, Center Line, St. Clair Shores, Howell, Taylor, Utica, Brighton, Redford, Farmington and Waterford; throughout Oakland County, Wayne County, Macomb County, Livingston County, Washtenaw County; and in Michigan statewide.